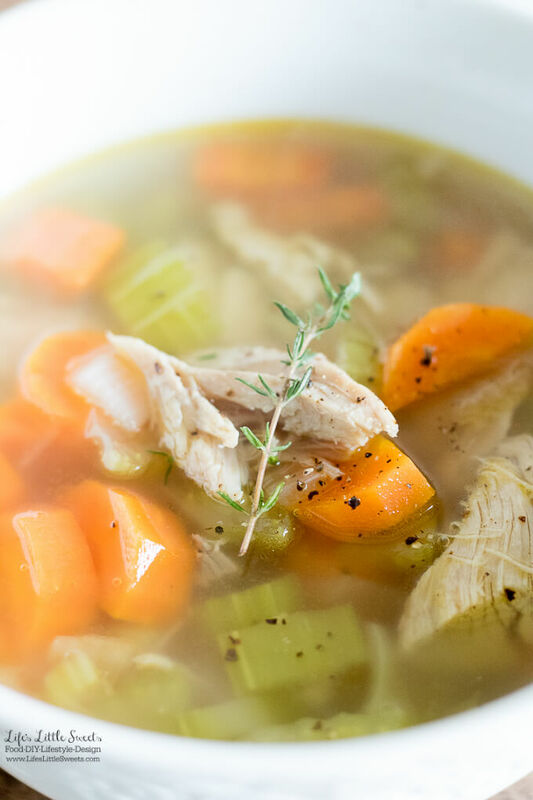 This nourishing Homemade Turkey Soup recipe can be made with leftovers from a turkey dinner. 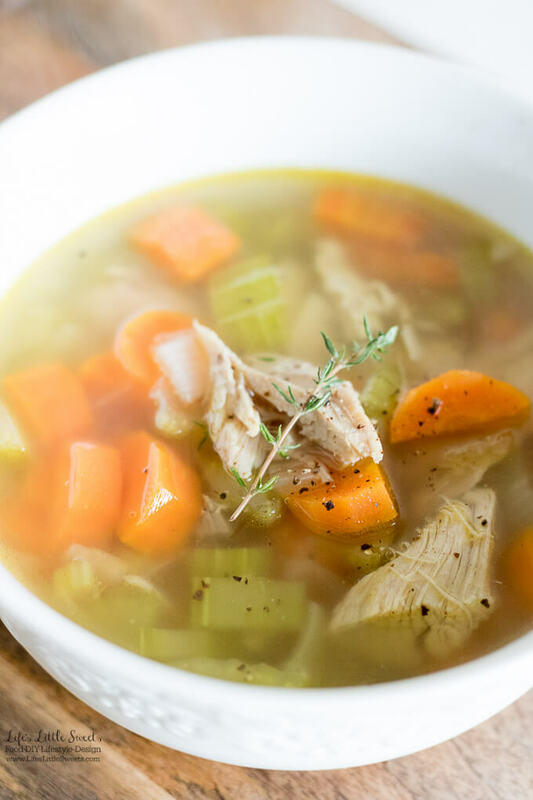 You can make the broth from turkey leftovers, just add some veggies like carrots and celery and turkey meat and you are all set for a delicious and savory soup! Hi Everyone, How was your Thanksgiving? Did you eat plenty of turkey? 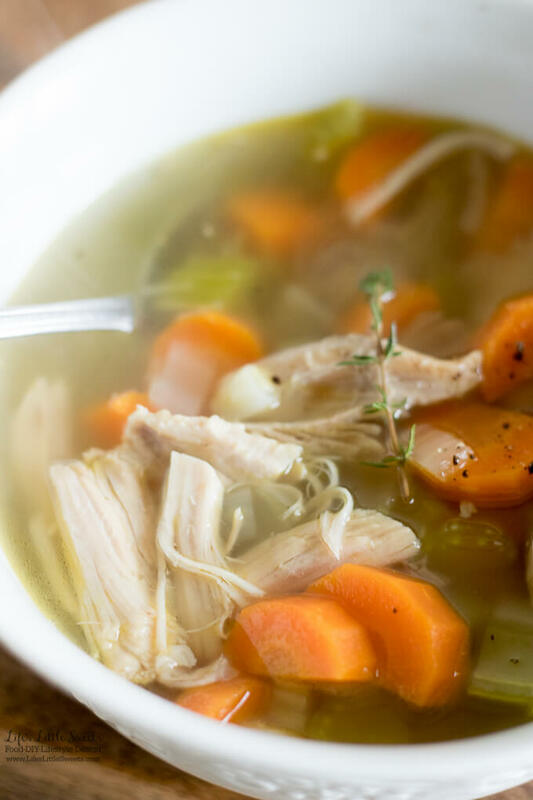 I hope you didn’t throw out that turkey carcass because you can make this Homemade Turkey Soup with it! If you are seeing this recipe in another part of the year besides Thanksgiving, it also pertains to any turkey leftovers and you can use this recipe for chicken too. What goes into turkey soup? What do you put in turkey soup? Turkey broth or bone broth, vegetables like celery and carrots, seasonings like salt, pepper and celery seed and/or bay leaves. 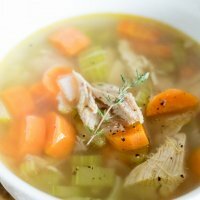 How do I add flavor to turkey soup? What spices are good for turkey soup? You can make a homemade bone broth, add your favorite seasonings, salt and pepper. Thyme, bay leaves, rosemary and sage go well with poultry. What vegetables to add to turkey soup? You can add any vegetables that you like, carrots, celery and potatoes are great for soup. You could also add turnips or parsnips. Boil a turkey carcass in water, once it’s at a boil, reduce to a simmer for 1 hour or until the meat easily falls off the bone. Take the carcass out and put it on a plate to cool. Strain the broth to strain out any pieces of skin or bone so that you just have the broth. When the carcass is cool enough to touch, with your cleaned fingers, pick apart the turkey meat from the bone. Discard the bones. Add the meat back into the broth. You can allow the soup to cool to room temperature and then cover and transfer to the refrigerator overnight or at 8 hours. Remove any solid fat from the surface and discard. 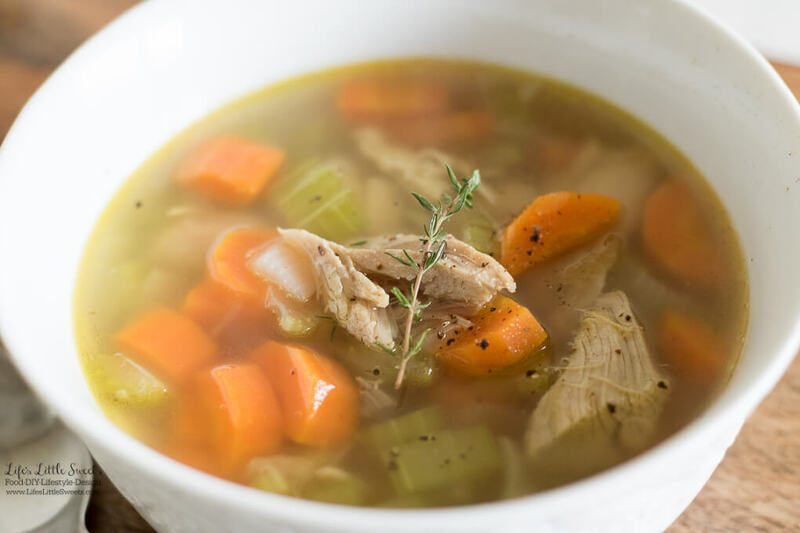 I know you will love this Homemade Turkey Soup! 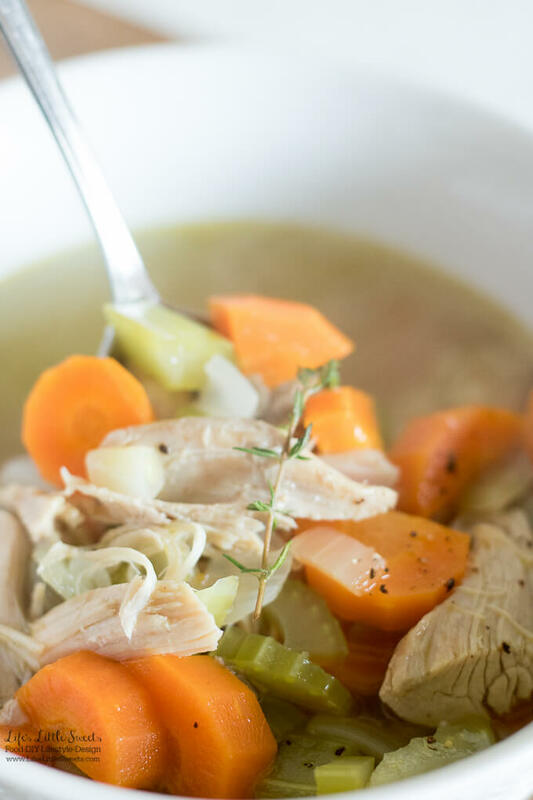 This nourishing Homemade Turkey Soup recipe can be made with leftovers from a Turkey dinner. 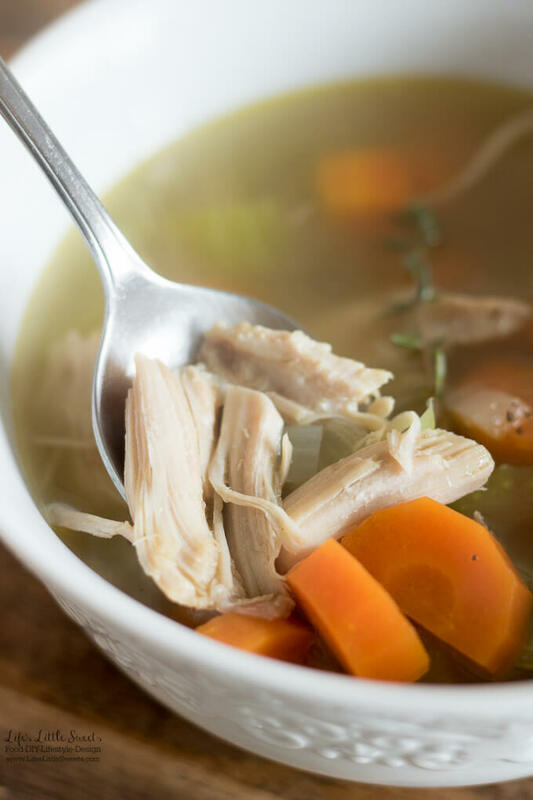 You can make the broth from turkey leftovers, just add some veggies and turkey meat and you are all set for a delicious and savory soup! Add the prepared carrots, celery and onions and 1-2 tablespoons of olive oil. Saute the vegetables in the bottom of the Dutch oven or large soup pot for 8-10 minutes or until the vegetables are tender. Add the fresh thyme, bay leaf and rosemary. Pour the prepared bone broth on top. Bring to a boil and then reduce heat to a simmer. Remove the sprigs of thyme, rosemary and bay leaf. Cook for 20-30 minutes. Enjoy! The amount of salt, pepper and seasonings you add will depend on how much seasoning was used in the turkey when it was cooked. The seasonings listed in the recipe are a good baseline for a dry brined or minimally seasoned roasted turkey. You may not need to add any additional salt for a brined roasted turkey.